May 3, 1931: This short article and advertisement were published in the Los Angeles Times. The article is one of the earliest newspaper articles about “The Gumm Sisters” which was the name the sister act comprised of Mary Jane Gumm (Suzy), Virginia Gumm (Jimmie), and Frances Gumm (soon to be Judy Garland). The act was not renamed “The Garland Sisters” until 1934. At this time, the sisters were a part of the Meglin Kiddies Professional Children’s School which resulted in quite a lot of bookings in the greater Los Angeles area as well as appearances in a few film shorts. They were also part of Maurice Kusell’s “Stars of Tomorrow” show which was already in rehearsals for an opening at the Wilshire-Ebel Theater in Los Angeles on July 10, 1931. 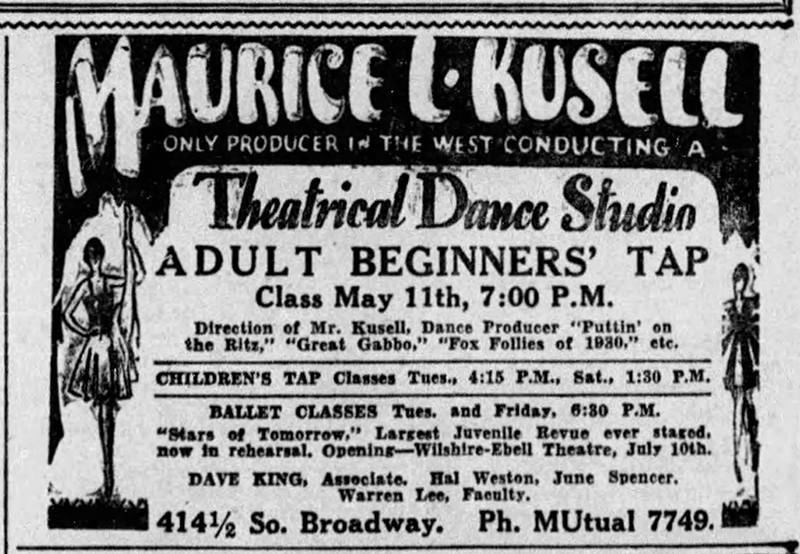 Kusell placed several ads like this one promoting his studios. 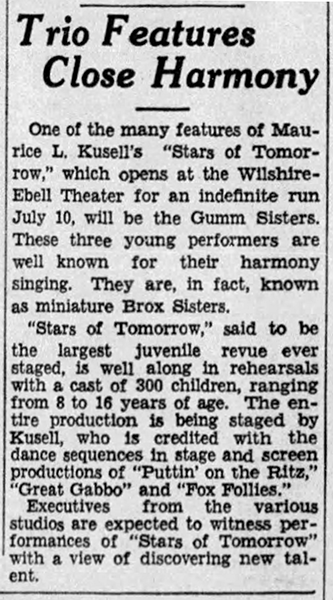 One of the many features of Maurice L. Kusell’s “Stars of Tomorrow,” which opens at the Wilshire-Ebell Theater for an indefinite run July 10, will be the Gumm Sisters. These three young performers are well known for their harmony singing. They are, in fact, known as miniature Brox Sisters. Executives from the various studios are expected to witness performances of “Stars of Tomorrow” with a view of discovering new talent. 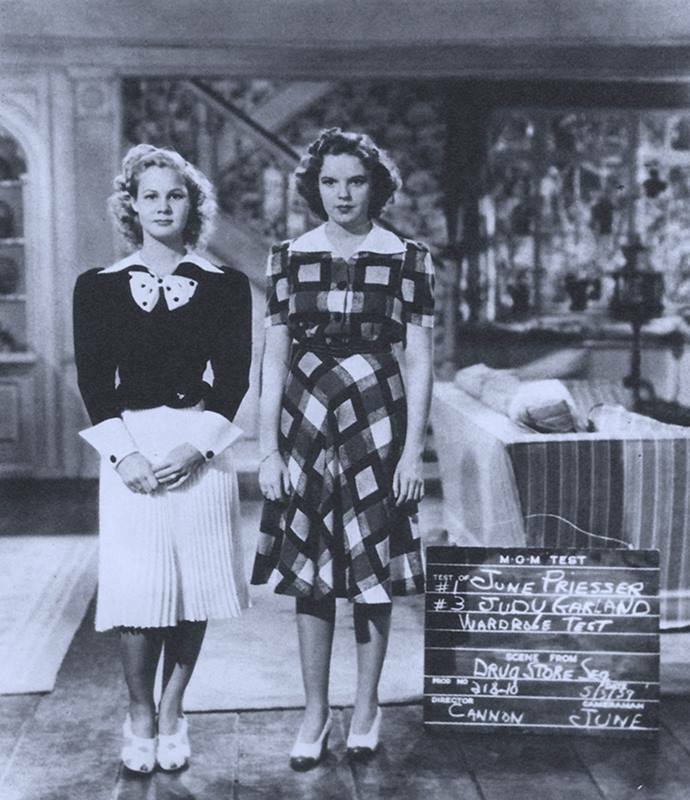 May 3, 1939: Judy and co-star June Preisser posed for this on-set costume test for Babes In Arms. Judy never wore this particular costume in the final film. 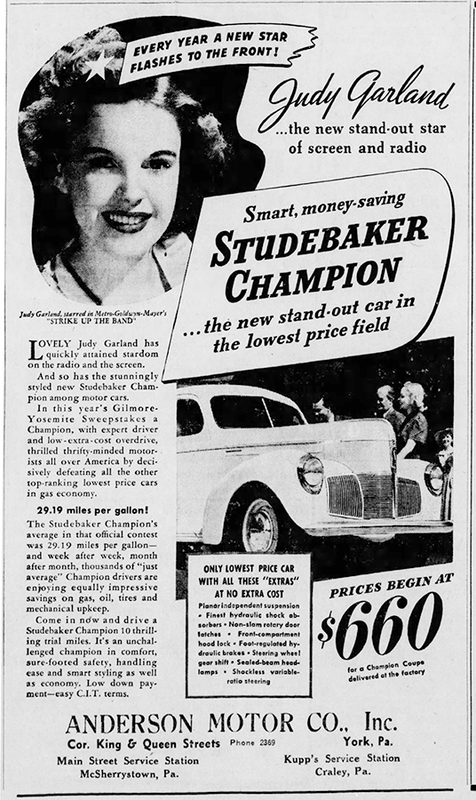 May 3, 1940: The Anderson Motor Company in York, Pennsylvania, proclaimed “lovely Judy Garland” as the “new stand-out star of screen and radio” just like the new Studebaker Champion car in this ad using Judy’s likeness to help sell cars. One wonders if MGM gave approval for this or not. 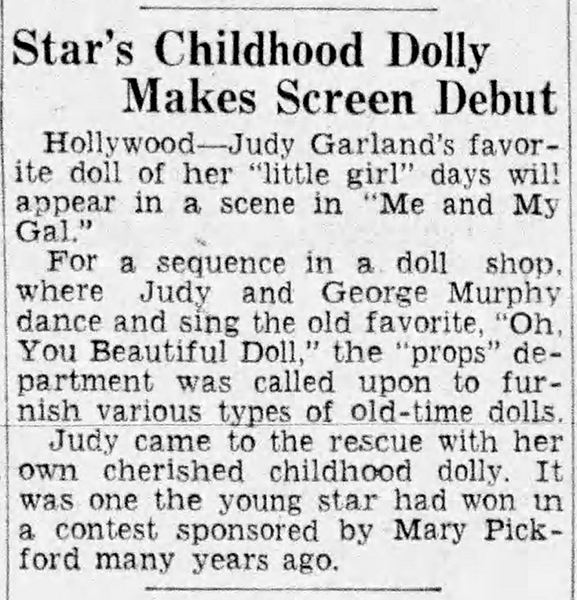 May 3, 1942: From the “Curio Department” comes this notice about Judy lending her childhood doll to MGM for use as a prop in the “Doll Shop” number in For Me And My Gal. The article goes on to state, “Judy came to the rescue with her own cherished childhood dolly. 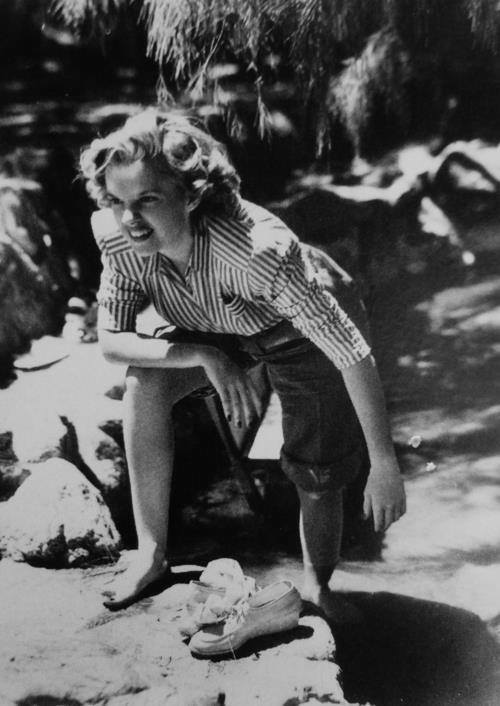 It was one the young star had won in a contest sponsored by Mary Pickford many years ago.” One would assume that this was more fiction dreamed up by MGM’s every prolific publicity department. However, it just might be true! 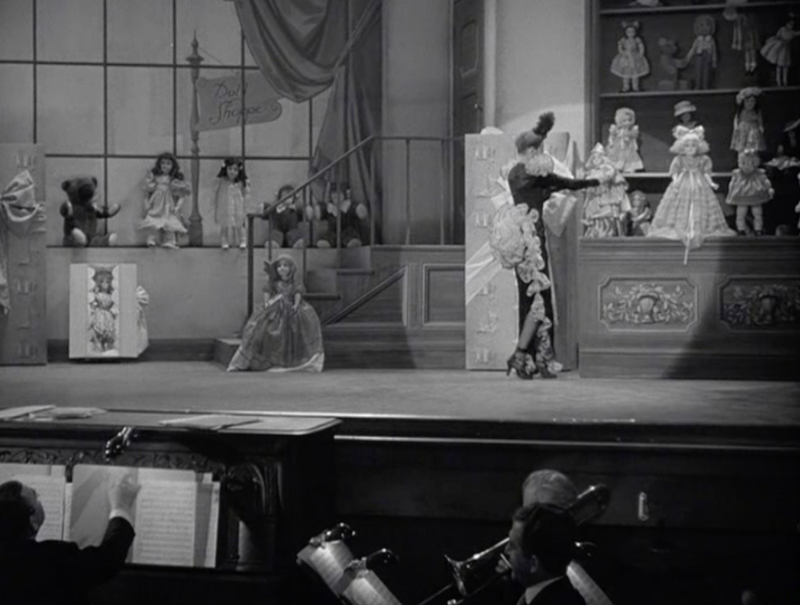 At least the existence of the doll, Mary Pickford’s connection to it, and the contest are true. 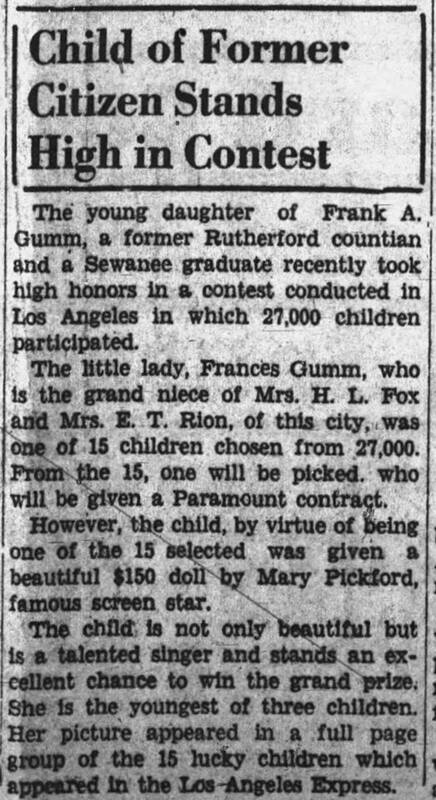 On March 27 & 28, 1930, two newspapers in Murfreesboro, Tennessee, The Daily News Journal and The Home Journal, both reported that “Little Frances Gumm” (seven-year-old Judy) had become the finalist in a “prettiest children” contest in Los Angeles. The reason the papers gave this any attention at all is that Murfreesboro is the hometown of Judy’s father, Frank Gumm. 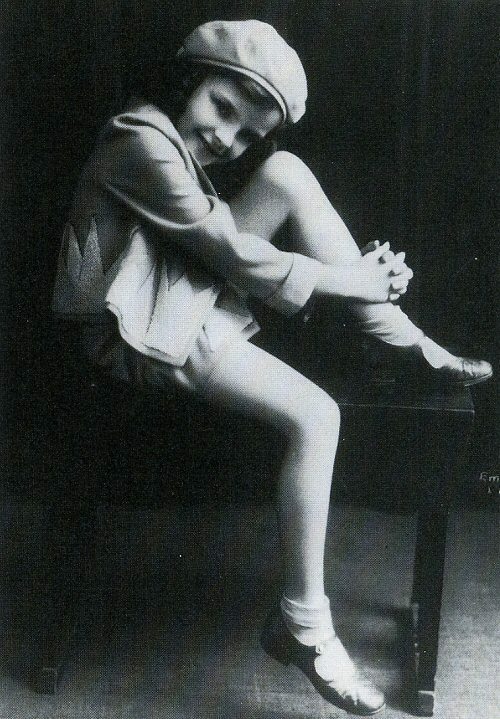 Judy didn’t win the contest or the film contract and no other information is known about Judy’s association with it aside from the fact that Judy received a doll for her participation. One article notes that the finalists were featured in a full page photo in the Los Angeles Express. That paper was sold a year later to the Hearst Publication company and was merged with the Los Angeles Herald becoming the Los Angeles Herald-Express and then the evening Los Angeles Herald-Examiner lasting until 1989. There are no records online, nor are there any notices in the Los Angeles Times about the contest during the time period (early 1930). So the existence of the photo is a mystery. 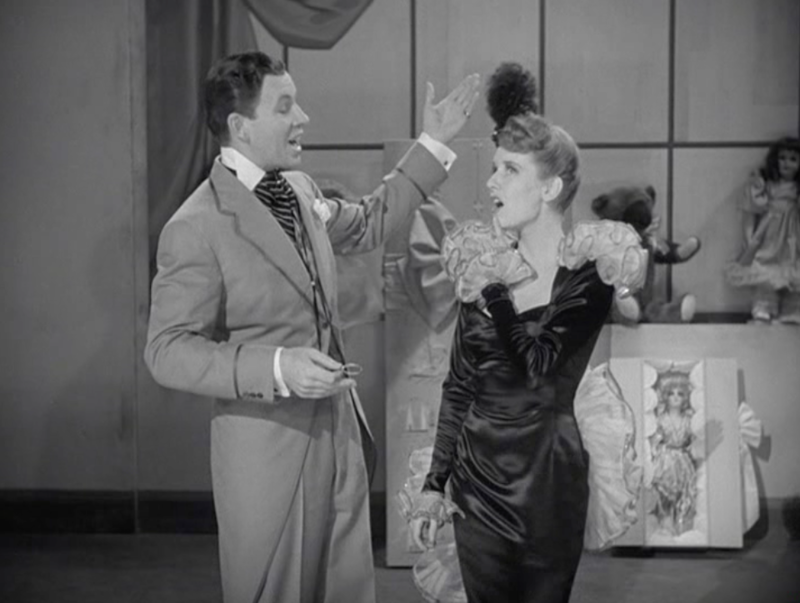 I believe that the doll in question is the kewpie doll that Lucille Norman hands to George Murphy in the bottom pic below (it’s also just to George’s left in the screenshot above). Kewpie dolls were popular in the early part of the 20th Century beginning in 1912. It’s the type of doll that would have been given out at a contest even in 1930. 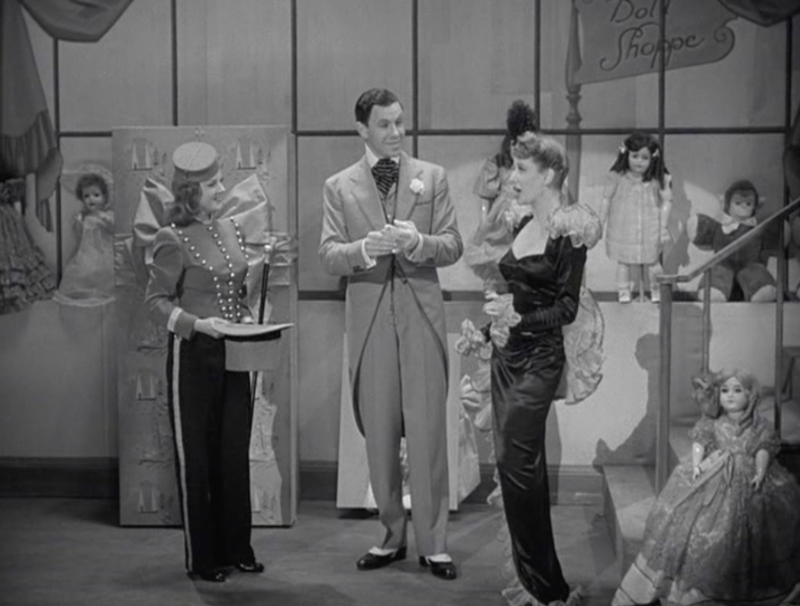 Finally, having Lucille grab Judy’s childhood doll is just the kind of “in-joke” that Judy and the Freed Unit would have engaged in, similar to the use of “the plans have changed” in Meet Me In St. Louis which was a running joke in the Unit about the ever-changing work environment. 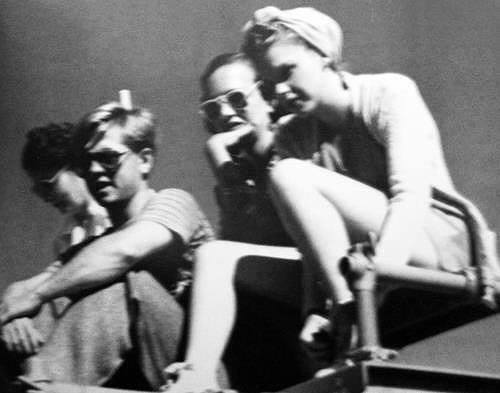 May 3, 1943: The first day of filming on location in Palm Springs for Judy, Mickey Rooney, and the rest of the Girl Crazy company. The day was spent rehearsing the “Could You Use Me?” duet. 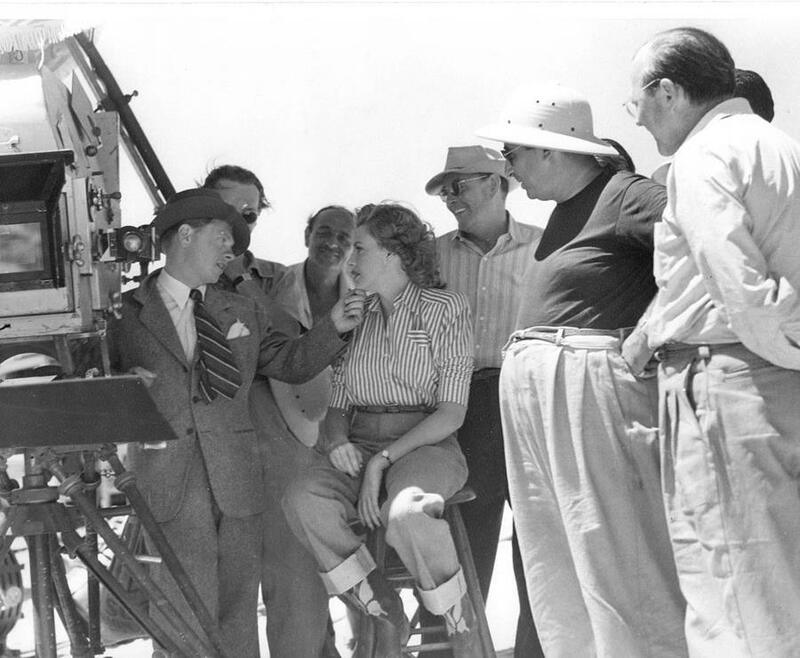 Time called: 9:30 a.m.; dismissed: 3:50 p.m.
May 3, 1947: The Pirate continued filming. Judy had a 3 p.m. call and was dismissed at 5:20 p.m. 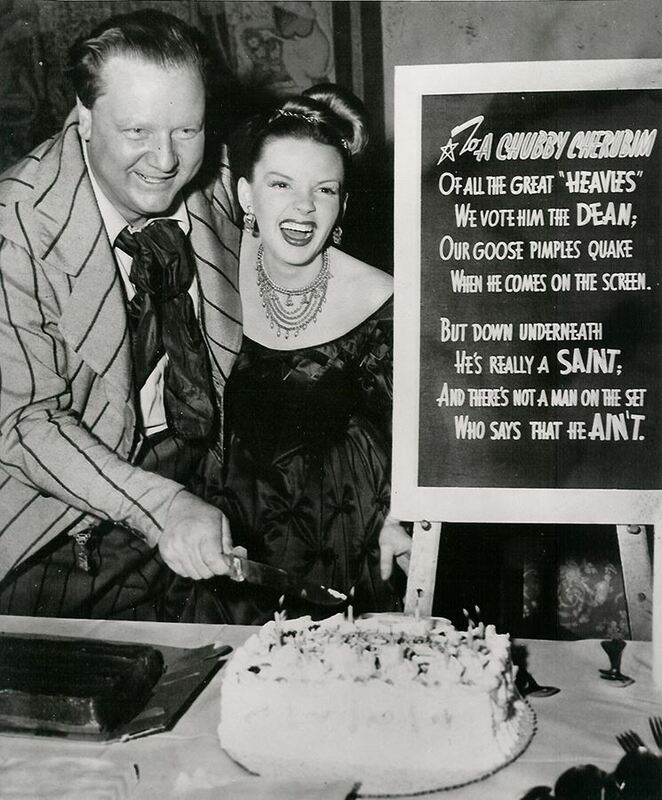 The assistant director’s notes state that from “4:11-4:39: Present Birthday cake to Mr. Slezak [costar Walter Slezak]; serve cake and ice cream. 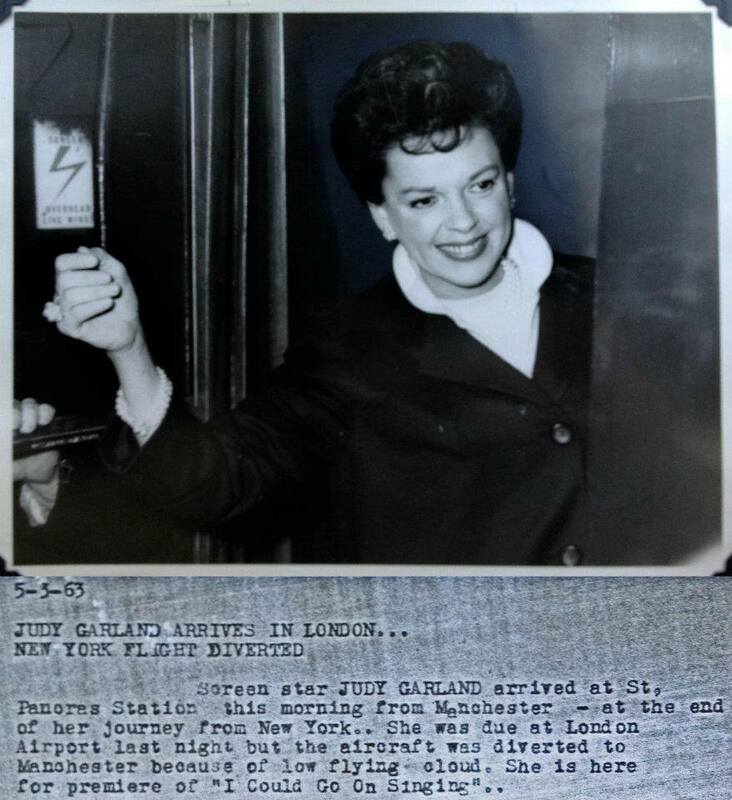 May 3, 1963: This photo appeared in the London papers, showing a radiant Judy and explaining how her flight from New York was diverted to Manchester due to weather issues. Judy was in London for the premiere of I Could Go On Singing. The film was released on May 10, 2016, in a limited edition Blu-ray from the Twilight Time label and although it’s now out of print copies can be found for sale on eBay.